“Merely prosecuting the guilty to the full extent of the law will not be sufficient to address the issues raised,” Mr Carney said in a speech in London on Tuesday night. The banking sector has been rocked by a “host of scandals” in recent years, the Governor said, including allegations over foreign exchange rate fixing and manipulation of interbank lending rates. Reforms passed by Parliament last year mean bankers face up to seven years in jail if they are found guilty of misconduct. However, Mr Carney said more widespread, structural reform was still needed, with clearer rules for both banks and regulators. “The scandals highlight a malaise in corners of finance that must be remedied,” he said. “There should be clear consequences including professional ostracism for failing to meet these standards,” he said. Mr Carney said the lack of clarity over where responsibility lay for bank conduct was “quite incredible”. Mr Carney said regulators were working hard to end “too big to fail” and remove the risk of disorderly bank failures that could “amplify” financial shocks. He stressed the Bank was also working hard to reform City pay. The Bank has unveiled proposals that could force bankers to hand back their bonuses up to six years after they have received and spent it. But Mr Carney said even the tightest pay curbs could not change risky behaviour on their own. “Market participants need to become true stakeholders. That is, they must recognise that their actions do not merely affect their personal rewards, but also the legitimacy of the system in which they operate,” he said. “When bankers become detached from end-users, their only reward becomes money,” he said. Mr Carney said “inclusive capitalism”- the title of Tuesday’s conference in London – “was fundamentally about delivering a basic social contract comprised or relative equality of outcomes. “[There is] a sense that this basic social contract is breaking down”. 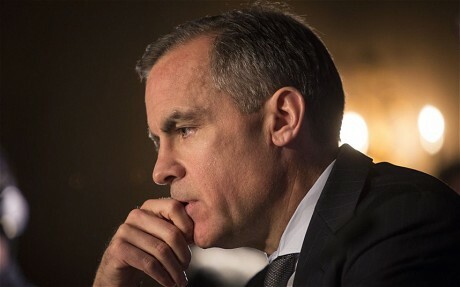 While acknowledging that regulators could not “anticipate every contingency or discipline every miscreant”, Mr Carney said “creating fair and effective markets” was vital. Global regulators have established a taskforce chaired by Martin Wheatley, the chief executive of Britain’s Financial Conduct Authority responsible for policing Britain’s banks, and Jeremy Stein, governor of the US Federal Reserve Board, to examine whether current interbank benchmarks such as Libor are fit for purpose in the wake of the rate-rigging scandal. The Financial Stability Board will publish its report in the coming months. The Treasury appointed Nemat Shafik as the Bank’s new deputy governor for markets and banking in March as part of a major shake-up of the central bank. Ms Shafik joins on August 1 and will lead a root-and-branch review of how the Bank conducts market intelligence.